Berkeley Technology Academy (BTA) is a continuation high school diploma program designed to meet the needs of students sixteen through eighteen years of age who have not graduated from high school, are not exempt from compulsory school attendance, and are deemed at risk of not completing their education. Our ambition is to contest traditional notions of a high school graduate by providing an uncompromising, rigorous education for all our students and to reverse underachievement in students performing below their potential. To do this we must strengthen family, school, business, and community relationships in order to improve student achievement. Rather than categorizing students as troublemakers or low-achievers, BTA recognizes that students who have difficulty achieving in a traditional school environment are generally the most demanding, creative, and intellectually apt pupils. BTA teachers and staff uphold standards of relationships, rigor, and relevance, or the Three Rs of Education in their approach to teaching, mentoring, and supporting students who perform below their potential. BTA emphasizes the importance of healthy relationships between staff and students, as well as families and community members in building a complete education. 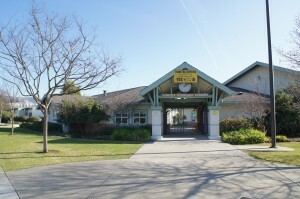 Offering a curriculum that meets the UC/CSU requirements for graduation, students are held to rigorous college-preparatory academic standards. Additionally, classes such as business, technology, and entrepreneurship emphasize the student’s ability to gain knowledge in fields that are relevant to their communities and personal experiences.